This 3 wick candle will give you desert vibes and was inspired by the American West. Perfect for bringing subtle texture and color accents to any room. A combination of clean-burning soy wax blend and alluring fragrance oils are sure to impress whether you're gifting or shopping for your own home. 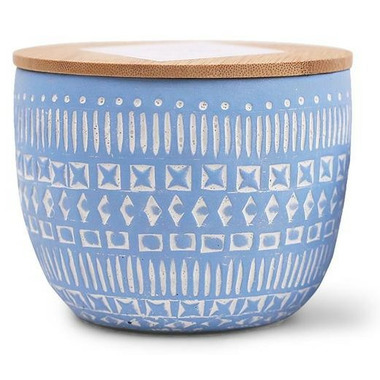 The wicks are made of 100% U.S. cotton and the beautiful sky blue pottery piece with bamboo lid can be used as a catch-all once you finish burning the candle. First time trying paddywax candle and the scent is amazing it fills the room. The pot is in is great and can be used as a planter or carry items after the candle is done burning. Candle is a bit pricey but is good quality.